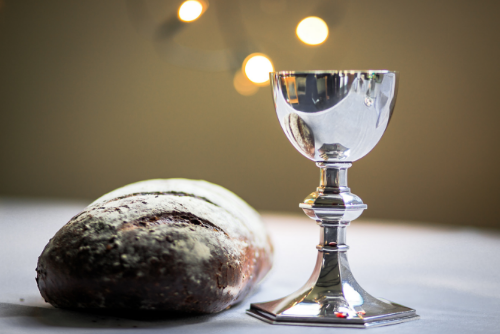 This week, Jaquelle and Sean talk about the Lord’s table (aka communion/Lord’s supper/Eucharist). They also talk about Jaquelle’s recent trip to Vancouver, the best burger Sean has ever had, and how fast Jaquelle can wake up. 03:17: Jaquelle’s recap of her first solo trip. 08:27: The best burger Jaquelle and Sean have ever had. 10:05: Introducing this week’s topic. 12:16: What is the Lord’s table? 14:39: The most important thing to know about the Lord’s table. 18:10: How often should we celebrate it? 26:22: Does it matter what we eat or where we eat it? 36:02: Sean’s minority Lord’s table opinion. I found this really interesting because my family just moved, and our new church does communion every week (we were used to once a month), and I’m still not sure which way I prefer. It was cool to hear your thoughts on it. I’m interested to know, in light of Sean’s conviction about Communion’s tie to church membership, whether you invite visitors to your church, who are baptized members of other churches, to partake with you when you celebrate Communion.